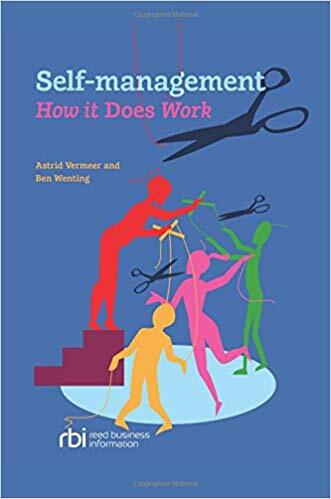 I’ve just happened across a copy of of Astrid Vermeer and Ben Wenting’s book Self-management: How it does work (Reed Business Information, 2016) (thanks to Andy Lippok). 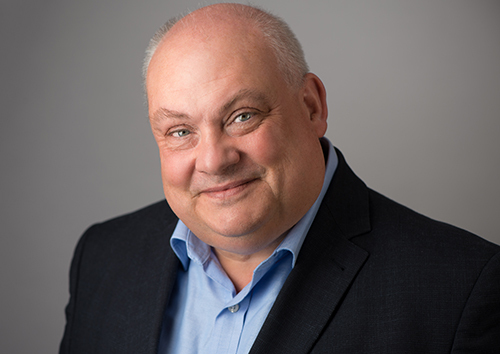 The book is based on the experiences of setting up and running Buurtzorg, the home and community care providers who have been very successful in building a network of independent nurse teams which organise themselves with very little input from ‘managers’. Vermeer and Wenting worked with Buurtzorg founder Jos de Blok, and are well-placed to share their experiences as well as setting out clearly how this model of self-organisation works, and what might get in the way of it working. My eye was immediately caught by the emphasis on communicating with the Solution Driven Method of Interaction (SDMI), which forms a central strand of the process. As someone who has for over 25 years been interesting in the methods of Solution Focused (SF) practice, a communication framework developed from the work of solution-focused brief therapists Steve de Shazer and Insoo Kim Berg (see for example The Solutions Focus: Making Coaching & Change SIMPLE by Paul Z Jackson and Mark McKergow, Nicholas Brealey Publishing, second edition 2007), I was immediately keen to examine exactly what characterised SDMI and how is compares with SF. The assumption is that people are able to make conscious choices and are therefore able to take responsibility for their actions. The more you make choices ‘consciously’ the less things ‘happen’ to you and the less you end up being surprised by unexpected consequences. This is not to say that people always want the responsibility… but in a self-organising team it’s a key element of how things work. This is not (of course) about being addressed as Ms X or Mr X! Or even saying ‘with all due respect’ followed by a condemnation of the previous speaker. It’s about wholehearted acceptances of differences between people. It’s only when these differences are accepted that we can get to a place where everyone is viewed as having something to contribute to a discussion, based on their own background. These differences (in say experience, training or education) may make one person more suited than another to certain tasks and activities – but that doesn’t mean that someone ‘deserves’ a lower or higher position as a person. When we get into a situation that feels uncomfortable or unpleasant, we want to take action. We want to feel comfortable again as soon as possible. That’s good thing, as combined with an SDMI approach we can get things moving relatively quickly. Some people may choose ways which are comfortable for them but not constructive in their colleague’s eyes – perhaps blaming their mistakes on external factors. Even here, the authors argue, there is a certain type of active energy – the person wants to turn away from the problem. The authors helpfully give these five points to prepare for discussions about change. There is no right order to these, they say, and they are interrelated. Position: what do you have responsibility for? What can you decide for yourself? What can’t you? What are your skills?? Working method: how are you going to achieve your goal? Communication method: communicating with each other in a clear and respectful way. As many readers of this blog will know, Solutions Focus first appeared as Solution Focused Brief Therapy with the work of Steve de Shazer and Insoo Kim Berg leading the way in the late 1980s. The key element has much in common with SDMI – making the starting point about what people want, rather than what’s wrong or broken. This can have an energising and co-operative impact, with the shift in focus drawing the participants together as well as moving away from blame and complain. There is then the ‘so are you prepared to do something’ part, where those involved are invited to take an active role in moving forward (as opposed to waiting for others to act, or for things to somehow change on their own). In the world of therapy in particular, this was a radical stance thirty years ago and it continues in many places to be seen as a heresy; the idea that people cannot move forward until they have addressed the ‘inner causes’ of their strife hangs around like unhelpfully like the smell of kippers in the afternoon. The principle of respect is also a key part of SF work, although we tend not to talk about it in such an upfront way. Making sure everyone has a chance to contribute their voice, that different perspectives are welcomed, that everyone is listened to, that everyone is seen as their own unique self (‘Frank says he’s been having a tough time of it lately’) rather than as a diagnosis or cypher (‘37 year old male with depression…’) are all key elements of the practice. We also take care to accept, acknowledge and affirm the experiences of all involved – the idea is not to try to decide whose side to be on, but to be multi-partial, to be on everyone’s side, in helping build conversations about positive change. Establishing a shared idea of what’s wanted is only one element of SF practice. Another key piece revolves around looking at what is working already, rather than what is wrong or not working. It is easy to persuade oneself that because something isn’t working, everything has to change. This is not normally the case at all – in fact, it is surprising quite how much of what’s happening now is valued, useful and worth keeping, even in difficult moments. One practical way to do this is with a scale from 1 to 10. 10 is taken as ‘we’ve reached the better future with regard to this topic’, and 1 is something like ‘things are as bad as they could possibly be with regard to this topic’. Asked this question, people will very often say 2 or 3, and may well say 5 or 6. Whatever they say, the follow-up discussion is then ‘how come it’s a 3 and now lower? What’s working already?’. This produces a solution-oriented discussion of the past and present. It’s good to keep a list of all the things emerging – these may be the basis of new actions to take matters forward, or at least a reminder that the team are not entirely useless. As above, this kind of discussion usually has an energising and co-operative impact. SDMI looks to take decisions by consensus, according to Vermeer and Wenting. This is an admirable goal – decisions reached in the face of considerable opposition are unlikely to bring long-term harmony. (Just ask 48% of the UK about that right now!) Consensus means reaching agreements and decisions within the team with support from all, which of course means handling and working with objections and concerns. Vermeer and Wenting’s book is very practical on this topic (and indeed overall) with lots of good how-tos presented and pitfalls discussed within the idea of self-managing teams. In my experience, two things can make consensus-building easier. One is to look for smaller actions rather than larger ones; the sense is then of gently exploring and finding ways forward rather than taking giant leaps. In difficult circumstances, look for even smaller steps, with reviewing and further discussion once they have been taken. The second and complementary approach is to treat these small steps as experiments – we are trying this out to see what happens, rather than we are going o do this for ever and ever irrespective of the consequences. Both of these make it easier for nervous or unconvinced team members to agree or at least acquiesce to the actions proposed. Self-management: How it does work is an excellent book. It is based on actual experience of developing a thriving and successful self-managing organisation, it is thoroughly practical with lots of specific how-to practices, and it is blissfully free of high-falutin’ and idealistic talk about the future of work, much more focus on the here-and-now. It makes no claim to be the only way to self-organisation, but powerfully asserts that self-management is not only possible, it’s practical and it’s here. The high profile given to SDMI within the book is a useful reinforcement of how what’s wanted, rather than what’s wrong, is such a powerful starting point for teams and organisations seeking to move forward together. The traditions and techniques of Solutions Focus offer useful ways to expand and build from this where things are proving difficult or stuck. de Shazer, S. (1988). Clues: Investigating solutions in brief therapy. New York: WW Norton. We are very happy to share this excellent presentation of a webinar given by Mark McKergow for SFIO, along with a download of his paper on the topic. It’s a great package which will be of interest to anyone working with Solutions Focus ideas in any field. Take a look now! “We are delighted to share with you this video of the SFiO Online Global Chapter meeting featuring Dr. Mark McKergow talking about his concept, “SFBT2.0”. We have edited the video to feature Mark’s presentation only. We are indebted to Annette Gray for running this Chapter meeting; while it was broadcast for the Asia Pacific region, it captured a global audience. One of our best hopes in SFiO is to maintain a library of Solution Focused material for practitioners working with or in organisations. While Mark’s talk is on SFBT, there are a lot of valuable lessons for organisational practitioners, hence its inclusion in InterAction. As Annette mentions, if you want a summary of SF history in one place, this video is that place.